12oz single wall coffee cup’s are a great option for your disposable coffee cup needs. 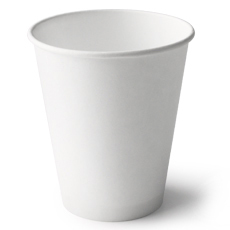 Made from a single layer of quality paper, these single wall white coffee cup is sturdy and clean. The plain white appearance of the 12oz single wall white cups makes them ideal for stamping your own logo on the cup. This 12oz single wall coffee cup is perfect for users of disposable coffee cups.